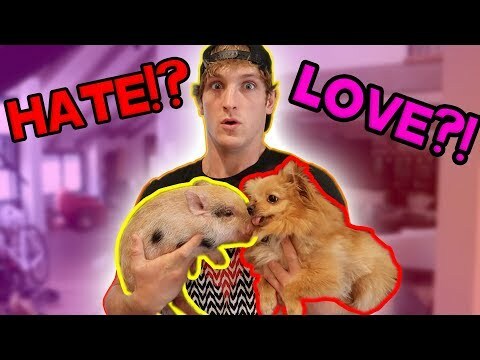 Logan Paul Vlogs » YouTube » MINI PIG MEETS MINI DOG FOR THE FIRST TIME! Join the movement. Be a Maverick ▻ https://ShopLoganPaul.com/ Best friends or worst enemies? SUBSCRIBE FOR DAILY VLOGS!